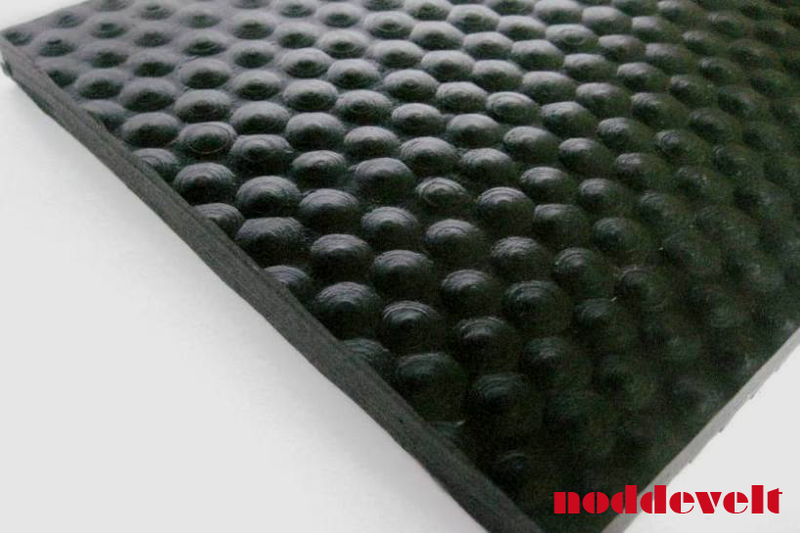 Rubber non slip mat on roll, 9mm thick. We supply this non slip mat in various widths, from 1.8m to 3, wide and up to 70m in length. The rubber mat is easy to custom cut. 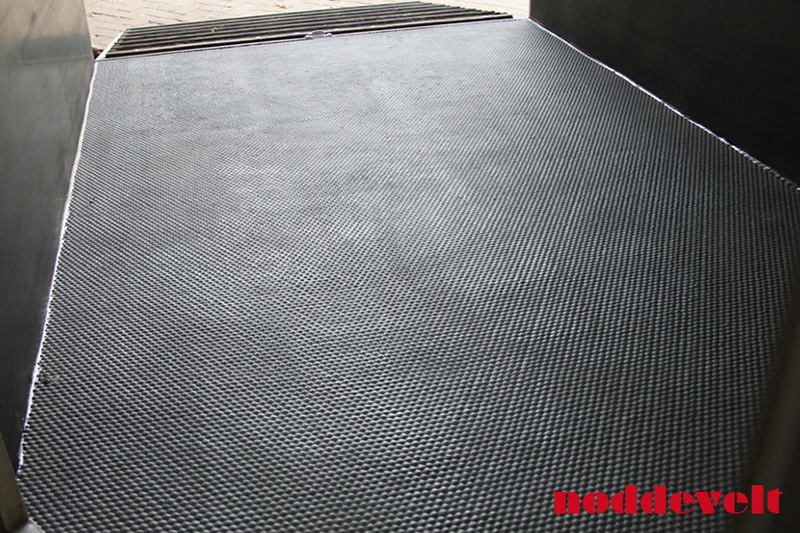 This rubber product is in our collection, specifically intended for small horse trucks (in Europe: driver’s license category B) and trailers, because this mat weighs about 20% less than the 12mm non slip mat. 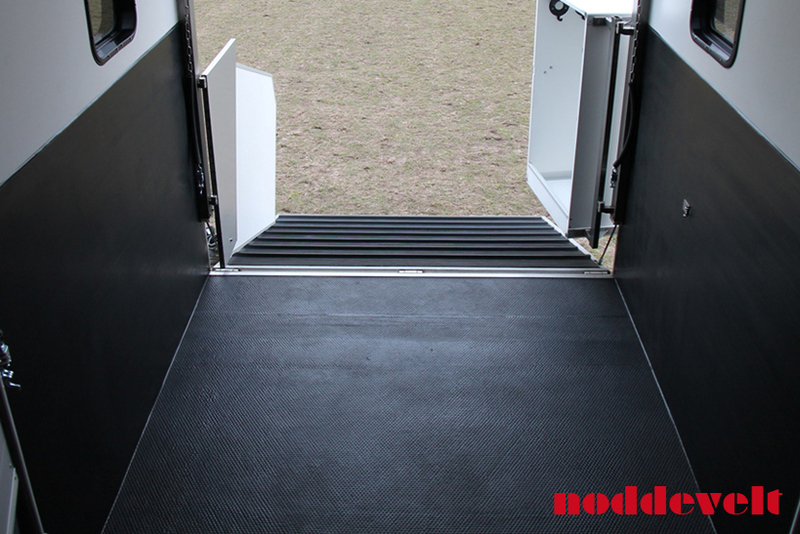 It is the perfect product to create a seamless, non-slip floor for your horse in, for example; horse truck and horse trailer. The mat has an insert, which makes it extra strong. The hammer blow top ensures good grip, both in wet and dry state. It is comfortable for your horse to stand on, because of its resilient property. The hammer blow structure is very easy to sweep. For gluing we have special kit and glue in our collection. 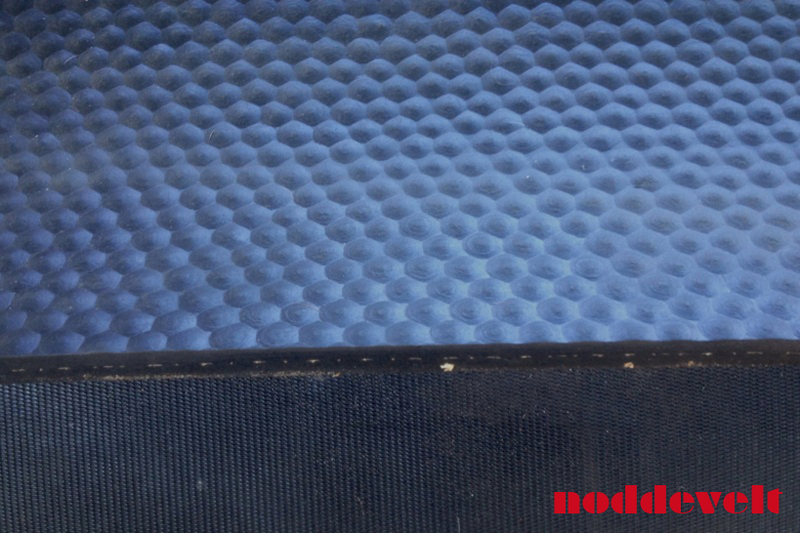 The textile print on the bottom of the mat allows strong adhesion to the surface. Liquid tight gluing saves you a lot of cleaning time. Non-slip mat for your stable aisle, horse stable and wash bay look at Air Comfort Non-slip mat or the non-slip mat on roll 12mm.